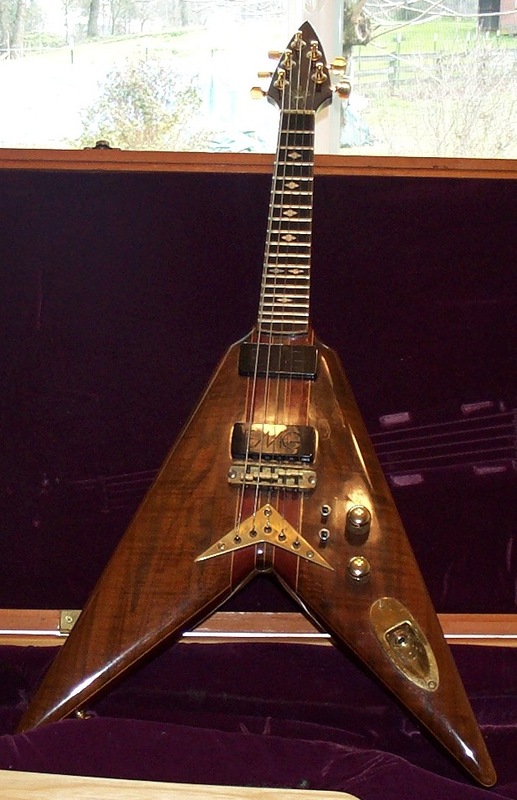 Based in Santa Rosa, Calif., Michael has been building custom guitars since 1977. The 5-string Flying V mandolin, from early in Michael's career, features a neck-through design (the "wings" are laminated on). 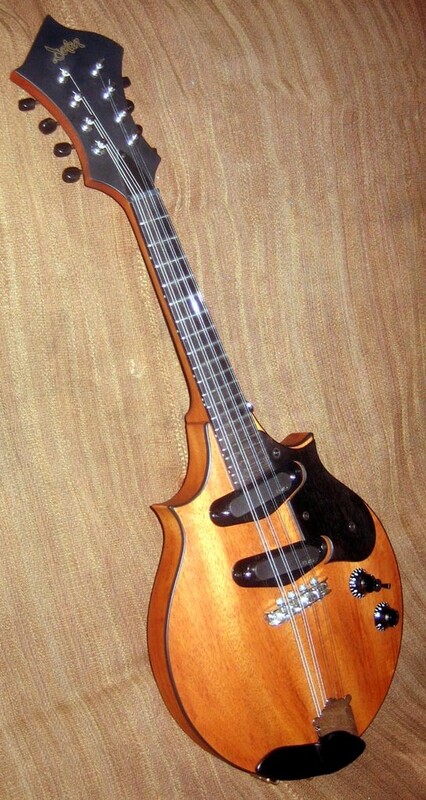 It sports EMG pickups and reportedly is the former property of Grateful Dead/Dan Hicks sideman Brian Godchaux. 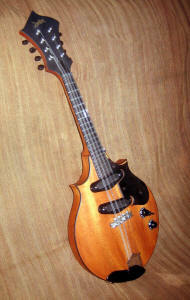 The double-cutaway 5-string is from 2001. The 2-point 8-string is of more recent vintage, and is evidence that Michael will still build a custom mandolin if you're itching for one.